Hi Everyone! 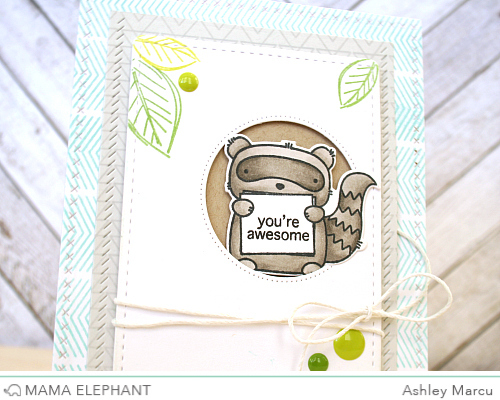 Ashley here, sharing a card featuring Three Amigos! 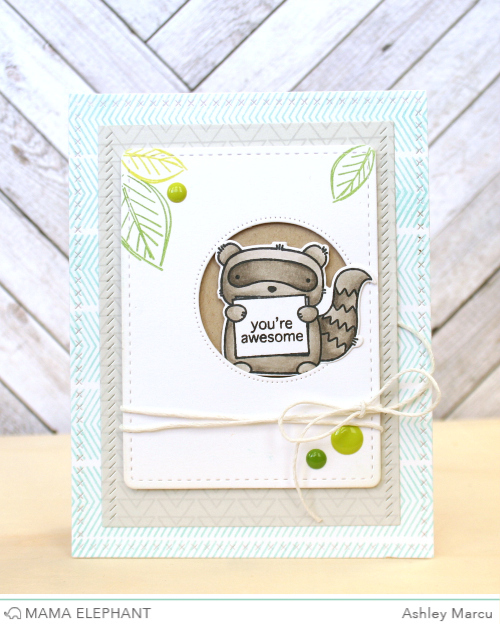 I created a little hideout using Peek a Frames and Sew Fancy for the raccoon that I stamped from Three Amigos. The stamped leaves are a perfect addition from Freestyle Florals and add to the woodsy look. I added a few more stamped panels behind the hideout using Sew Fancy and the new borders set Zenith Borders. I hope you enjoy Three Amigos as much as I did! I can't wait to stamp it again and again! This just shows how incredibly versatile your products are, M.E. - I'm having a blast with my three new best friends! !